Awesome spot! Ace's is a fine little shop that offers the personal touch that others don't. Kyle and the crew are great folks that love to educate customers on their many products. Thanks so much for the review, we all try, and we love what we do! Hope to see you soon Pierce! Let me start off by saying I work at one of the business that is inside of the same building as Ace's place. The back of my warehouse stinks like marijuana occasionally, the customers speed down the alley with no regard to people, throw their trash all over our side of the parking lot and constantly come into my store and ask directions or to use to bathroom. Now for employee's. I was last in there on 3/13/19 during the blizzard. Since I work in the same building. A blonde walks to the door and opens it while I'm getting cash from the ATM, doesn't greet me or anything just closes the door. So I finish getting cash and waiting. I can see her through the window just standing there. So I wait about another 3.5 minutes for her to open the inside door, when she did open the door a gentlemen outside was opening the outside door and just of wind came in. She then proceeds to tell me she thought I was ripping the door down and was going to yell at me in a very rude manner. I present my ID which does have a small crack in it but I've been told by one of their employees it was perfectly fine. Been through Oakland, Nashville and Denver airports with it and also every dispensers from Fort Collins to Denver with my cracked ID and no problems. So she refused to let me in, almost happy to not let me in. And was very rude about it. Now as far as price and such, this place has very little selection and their house wax is as black as night. Has a decent wax deal on certain days but again most the strains of concentrate are black in color. Pre rolls are over priced. That's basically all I ever buy from this place anyway. Hello Magoo, Thank you for leaving a review. At Ace's we take pride in our place of business, from having vacuum trucks sweep the parking lot (all businesses included) to making it a policy that employees pick up any trash they see. Unfortunately we cannot control the actions of our customers, but will do the best to remove any trash they leave. We do currently have odor mitigation in our area of the building, however will be increasing this now that an issue has been brought to our attention. We promise we don't want to smell! In regards to the crack in your ID we are very sorry that we could not help you on that snowy morning. Dispensaries operate within a very strict set of regulations, to maintain our licenses we must be sure that we scrutinize all ID's and are 100% sure that we are accepting a real document. Damage to an ID can often obscure the information or picture and we cannot take the risk of accepting those IDs. We would hope that you are able to replace your damaged ID with ease and would love to have you back as a customer. 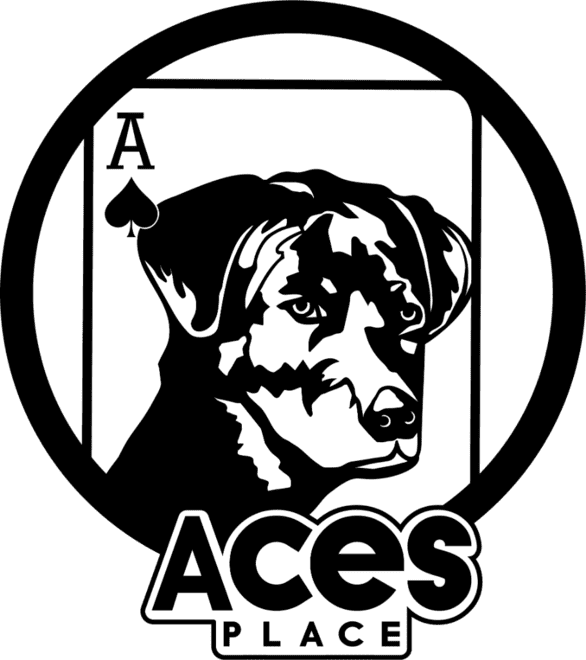 Ace's place will continue do everything we can to be sure that our products and staff are something worth coming back for. Please reach out to acesplacefoco@gmail.com if you have any further comments or questions you would like to address with management. Went in for the first time this weekend. Picked up Jack Flash which is an amazing pungent smell and smoke. Got a penny joint for signing up which is awesome good high. Definitely will be making my regular. Thanks for your review! We can't wait to have you back! Went in a couple of weeks ago and Ashleigh took great care of me. Very welcoming and knew the products well! I am happy with the quality of the flower and concentrates and the prices are excellent as well. I will be back! Thank you for your review! Can't wait to see you back! Thank you so much! We couldn't do it without our excellent customers! This is my favorite dispensary I've been to. Close to home and great hours (8am-8pm). Above that, the service is very good. Ashlee helped me the last 2 or 3 times and made me comfortable and was very well spoken. The other bud tenders are good too. The products and prices are good and they have nice deals each day. Thank you so much for your kind review! We can't wait to have you back! I love this lil place. It has great staff and products! I highly recommend this place! Thank you for your review! Can't wait to see you next time!